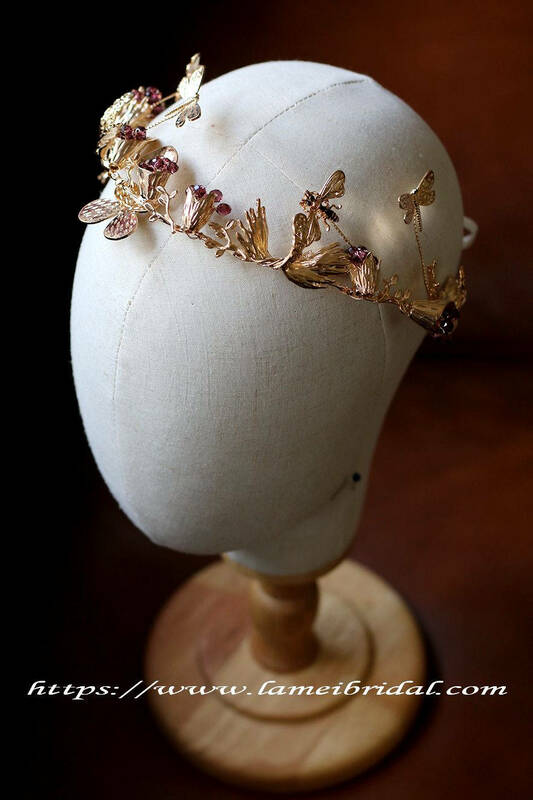 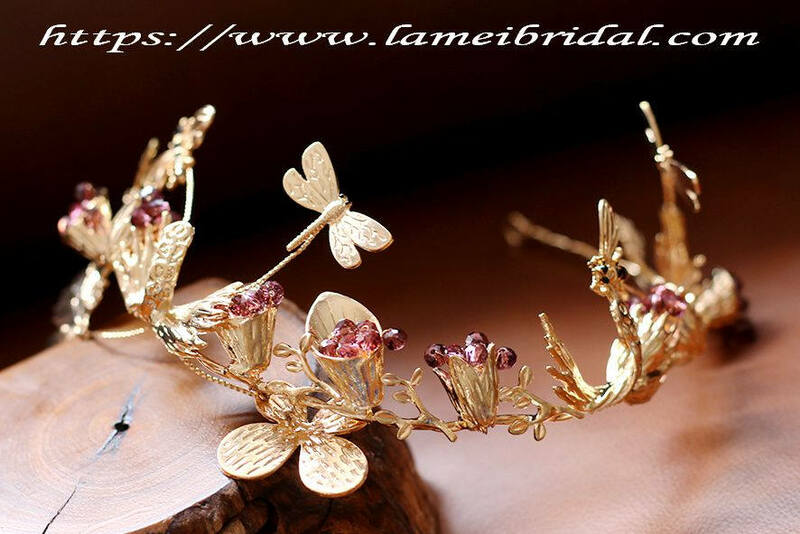 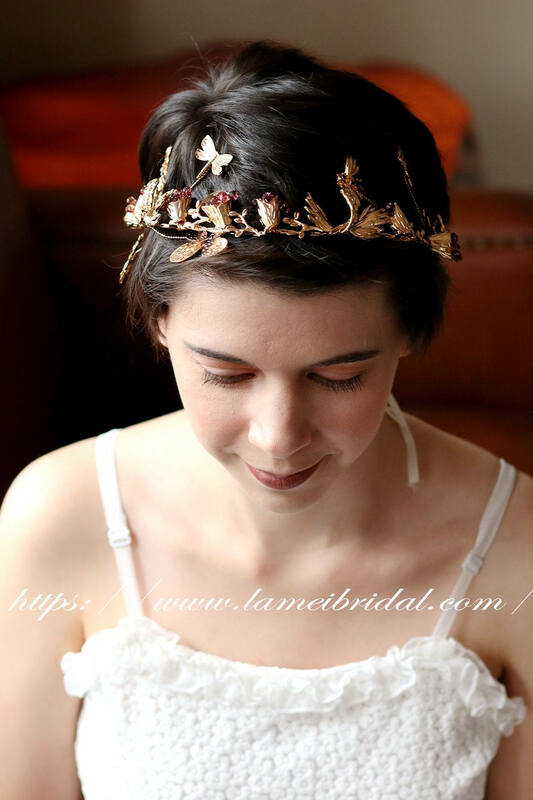 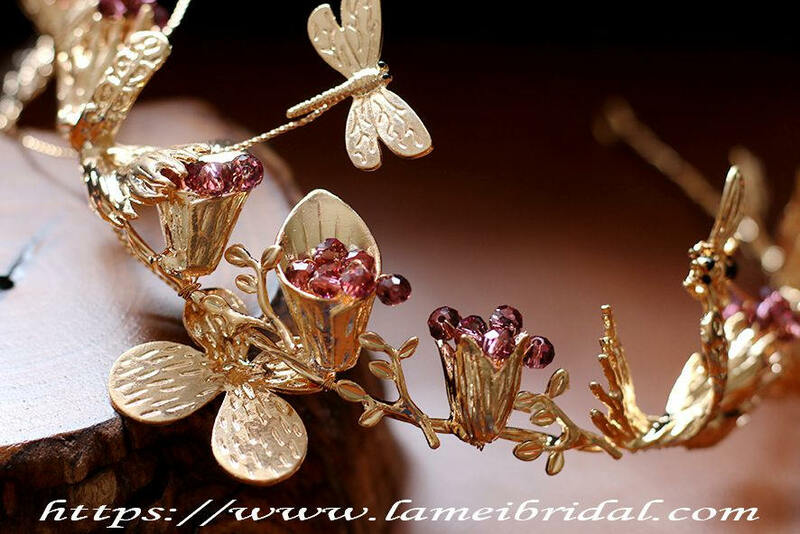 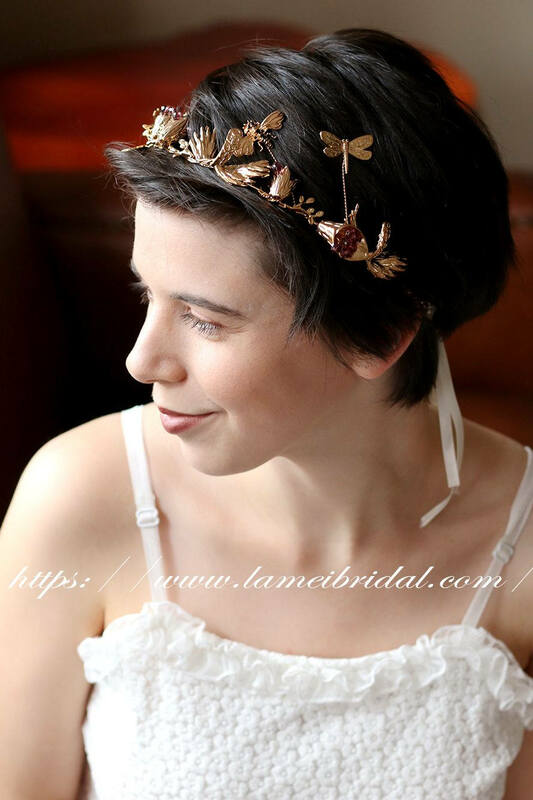 Romantic shaped gold dragonfly hair vine headband wire wrapped with pearls on top for your wedding day!! 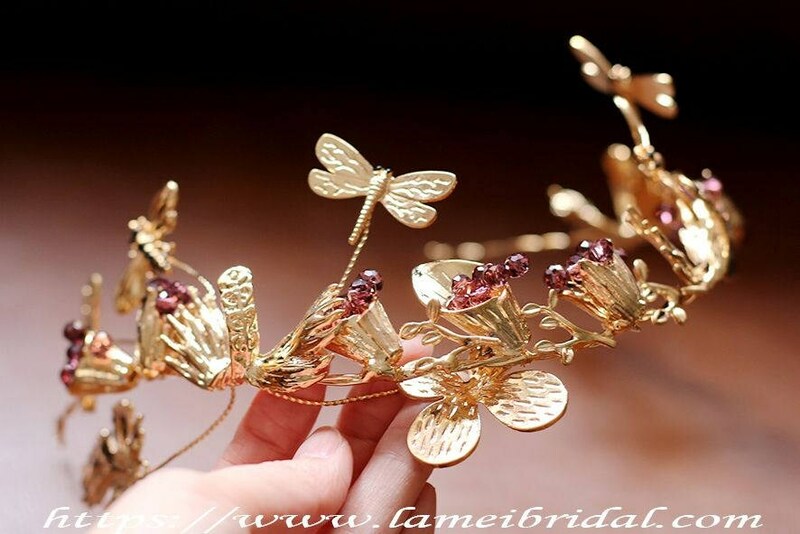 You can tie it easily on your hair. 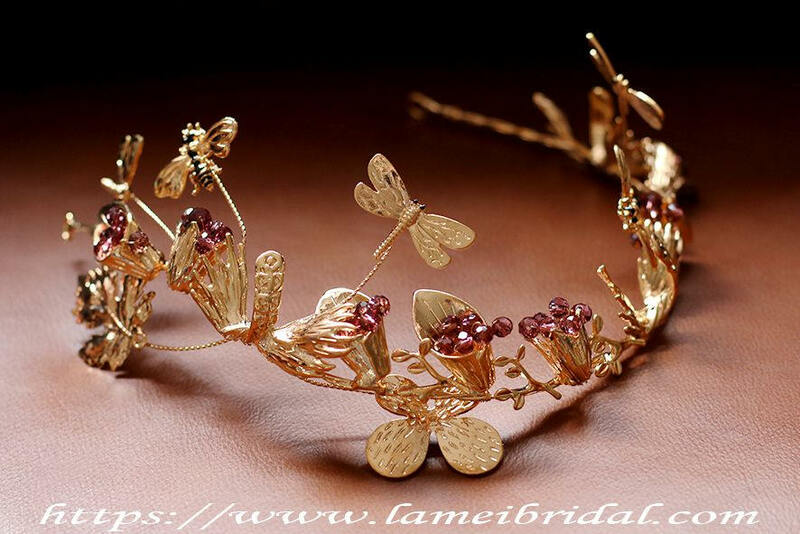 The ends tie together in the back with a long thin golden ribbon. 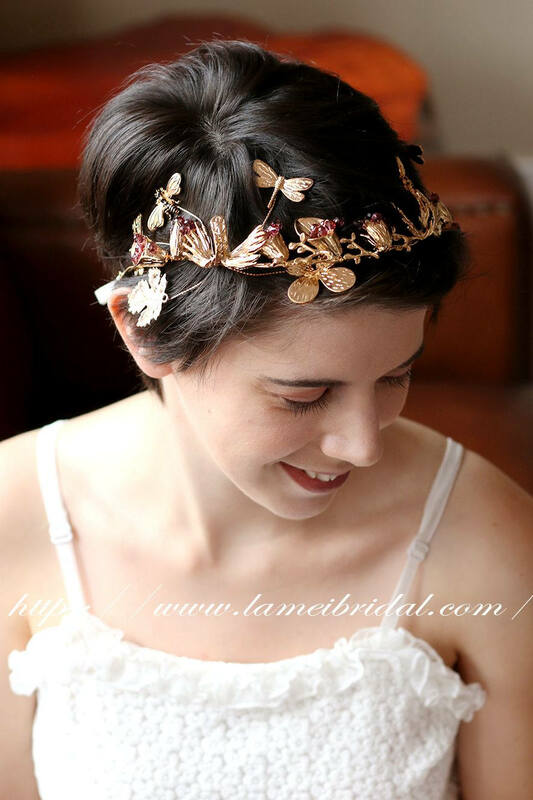 Fully adjustable and will fit both a male or female head.